Somewhere up in Maine the Crust Crew is making dreams come true and a few weird nightmares too. The board Nolan and Billy are skating at the beginning of this clip is a deck I made out of an old girl deck. 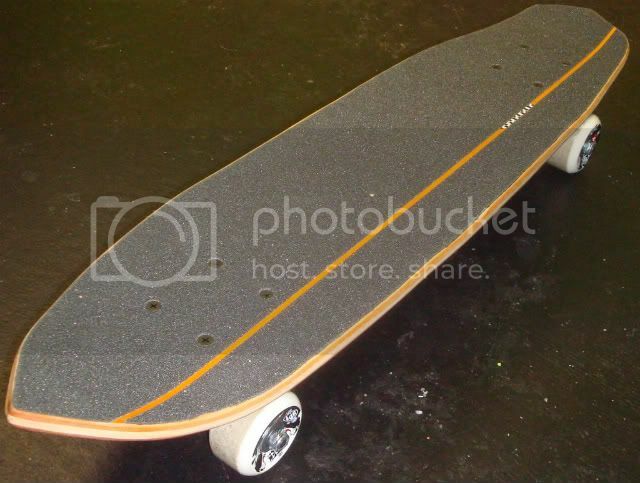 It is about the size of a plastic banana board with 5.5" trucks and the tail is 3" long. 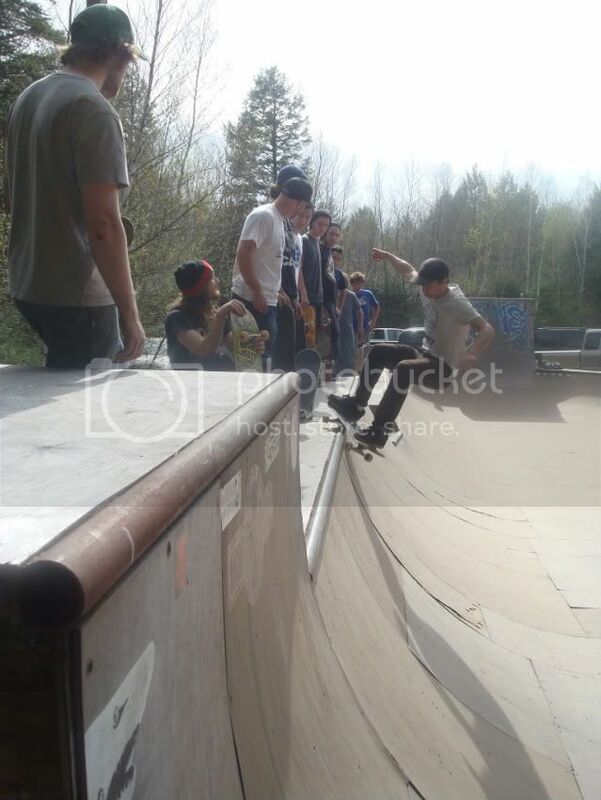 I have no idea how you do a blunt or a tail slide on the, never mind transferring over the channel. Here are a couple pictures of the board.